Many believe that it’s all up to the Republicans to legalize cannabis. And with the cannabis industry now generating a huge amount of revenue, not to mention a significant amount of tax revenue for most states, it isn’t surprising to know that opinions are now changing. There’s now a bigger chance that the federal legalization of weed will be pushing through. As a matter of fact, federal legalization of marijuana might be happening sooner than expected. Let’s take a look at some of the obvious signs. Several years ago, a Republican governor, congressman, or senator who will openly support the legalization of marijuana will only be a minority. But in recent years, things have been changing dramatically. Nowadays, a lot of the Republican leaders are changing their stance on marijuana. To understand the shift of Republican’s decision, just take a look at the convention of the Republican Party in Texas last June. Almost 10,000 delegates voted to approve the platform that endorses marijuana decriminalization, industrial hemp, and medical marijuana. 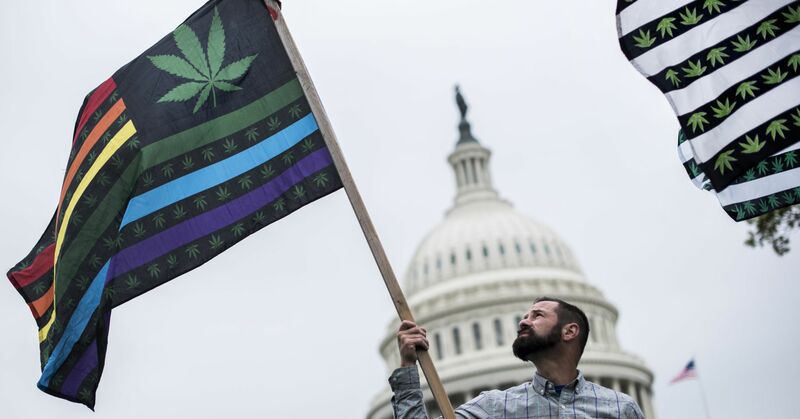 Furthermore, the delegates have called for the federal government to reclassify cannabis so it will no longer be considered a controlled substance. A Republican-controlled Senate was behind the Hemp Farming Act of 2018. The act supports the legalization of hemp for industrial purposes and the goal is to pass it before the end of the year. For several decades, hemp has long been linked directly to the type of cannabis that contains the THC, which has the psychoactive components that are responsible for the hallucinogenic effects on the user. But hemp doesn’t contain enough THC that can lead to these effects. By removing hemp from the list of controlled substances, it will now be legally possible to grow and distribute the product, similar to other agricultural commodities. It’s highly possible that the cannabis is going to be decriminalized, de-scheduled, and legalized once the industrial hemp will be legalized. In fact, the DEA has recently stated that the CBD should be considered a least a restrictive type of drug. Money plays a big role in the legalization of weed at the federal level. First, the size of the weed industry is getting bigger and bigger. The states that have already legalized the use of medical and recreational marijuana have already enjoyed the tax revenues from such a huge industry. In addition, some politicians are now starting to receive a sizable number of donations from the growing industry. Recently, these donations shifted to the Republican candidates who are showing their support for the legalization of cannabis. While smaller donations are still coming from the tobacco industry, as well as the other industry donors, the industry of cannabis is expected to grow very powerful soon, thanks to the vast amount of revenue that it generates. Of course, it’s hard to tell what could happen in the future, but based on the signs above, there’s a huge chance that the federally legal weed will soon become a reality.